At least 12 people were killed, including one baby, in a large apartment building fire in the Bronx Thursday night. BELMONT, Bronx -- At least 12 people were killed, including one baby, in a large apartment building fire in the Bronx Thursday night. The 5-alarm fire broke out just before 7 p.m. on Prospect Avenue near East 187 St. on the third floor of the five-story building. More than 170 firefighters responded to the blaze, which was brought under control about two hours later. The identities of the victims have not yet been released, although Mayor Bill de Blasio said one of the victims was as young as 1 year old. The oldest victim is believed to be over the age of 50. There were also several other people seriously injured -- four were said to be in critical condition. The patients were taken to Jacobi Medical Center and St. Barnabas Hospital. The victims perished on various floors of the building according to fire officials. 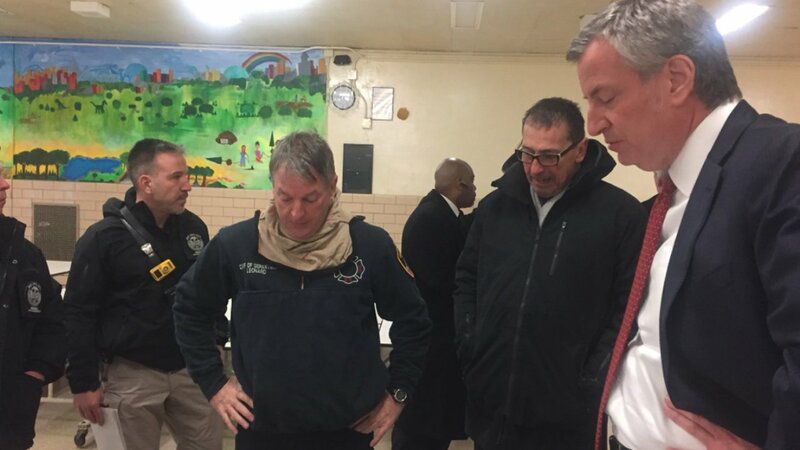 De Blasio called it one of the worst losses of life in a fire in the city's history. The Office of Emergency Management and the MTA were sending buses to the location to accommodate residents that have been evacuated from the building. One of the deadliest fires in recent memory happened elsewhere in the Bronx in 2007. Nine children and one adult died in a blaze sparked by a space heater.